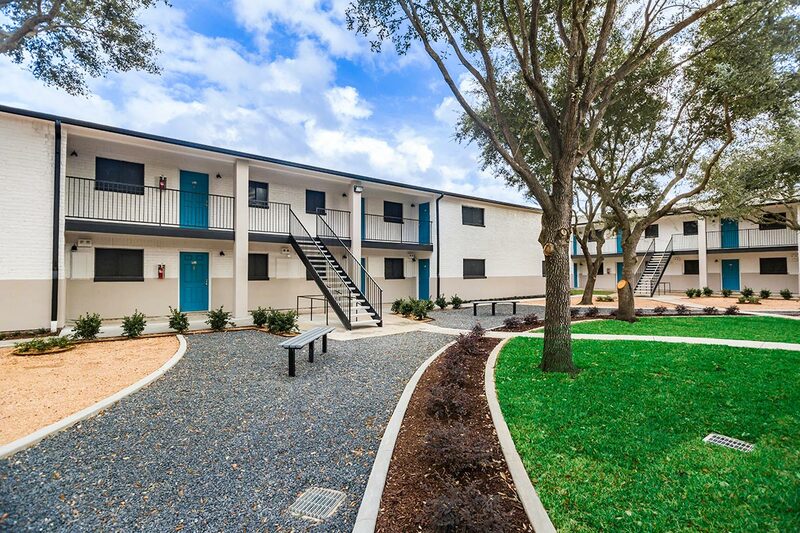 One of the greater marketing challenges in the multifamily industry is figuring out how to market C-level properties with market-rate rent. If you work at one, you understand. Here's what happens: You get hit from both sides. Some of your prospects may be eligible for Section 8 housing and so you're competing against properties that can offer them below market-rate rent. But then your other prospects, the ones who definitely aren't eligible for Section 8, may well be able to afford a B-level property under the right circumstances. So you're also having to compete there. The result is that you end up competing against properties that offer benefits you are unable to replicate—and that's a hard fight to win. In this post, we want to talk about how better online marketing techniques can improve your marketing performance at struggling C-class properties. Do prospects for C-class properties research online when shopping for an apartment? Before we can even begin to talk about how or why a C-class property should have a web presence, we first need to establish that it is even something their prospects will use. You might think that the people looking to rent properties of this sort simply aren't online, but that's actually not true. A large percentage of Americans use their smartphone as their primary way of connecting to the internet. According to one survey, 10% of Americans do not have high speed internet access at home and an additional 15% do not have reliable high speed access. But those people are still online—thanks to their phones. 13% of Americans earning under $30,000 told surveyers that they are "heavily dependent" upon their phones and 50% of Americans earning under $30,000 a year own a smartphone. A senior researcher with Pew Research said he was surprised at how many working poor use their phones to look for jobs and to do other basic day-to-day tasks. Presumably this would include searching for a place to live when that time comes. So the target demographic of most C-type properties are online, even if they aren't using desktop devices. How do you reach C-class prospects online? Given that information, there are three main apartment marketing ideas for C-class properties that we need to develop today. Use mobile as your primary outlet on search. Optimize your local business listings in Google. Qualify your leads with higher quality marketing content. We'll expand on each of these three ideas below. You need to begin by having a mobile-friendly site. If you are curious about what that means, we have written an extensive post on mobile-friendly apartment websites. Moving beyond this basic point, there are other ways to emphasize mobile. One particularly good way to emphasize mobile is to run pay-per-click ads on Google using Google AdWords that are designed exclusively for mobile devices. This is especially powerful because you can show up at the top of the search results page on mobile, which is much more valuable than being at the top on desktop. High placement on mobile is more valuable. As you can see, on desktop the top result still is only one amongst many, many other results on the page. As you can see, in this case the paid search result is the only result on the page. On desktop, you will be sharing space with somewhere between five and nine additional clickable results. 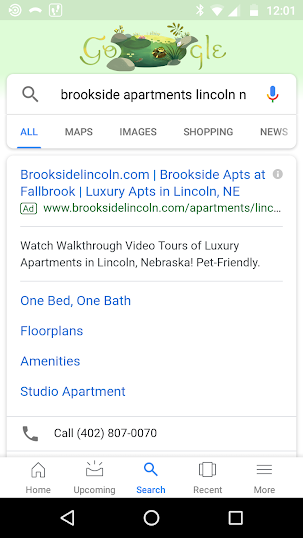 But top placement on mobile means that you will be, at worst, one of three clickable items on the SERP and maybe the only clickable item above the fold. So winning top placement with AdWords is a major victory on mobile search. Do people click on defensive ads? Some marketers are skeptical of running advertisements on branded search terms—search terms that refer to your community by name. "Why would I spend money on that?" people ask. Here is what you need to know about defensive ads: 1) People click them. 2) People who click them are engaged. 3) Those clicks are cheap. Let's take one example of a client community in Texas. They spent $616.23 on defensive advertisements over three months. During that time, that money paid for 800 clicks and 642 unique visitors and 1239 visits. The bounce rate for those users was 31.23%, meaning they tend to stick around on the site. Their average pageviews per session was 3.12—meaning they looked at the home page and then two additional pages. That community is not unique either. In another study, we analyzed defensive ads at over 300 client communities all over the country. We tracked a half million ad impressions, nearly 80000 ad clicks, and $62,891.02 in ad spend. We found that many communities could generate double digit leads per month via defensive advertising at a cost of $11.61 per lead. That said, even that number may be a bit weak: Many of the communities in our data set had smaller ad budgets which limited their effectiveness. For example, one community that spent $99.64 per month over six months averaged 14 new leads via defensive spending per month, which makes their cost-per-lead $7.03. Even if you only convert one in five leads into a lease, that would make their cost-per-lease $35.15. Given the revenue they will bring in via their lease over the full term, that's an outstanding customer acquisition number. Of course, even if we knocked that cost-per-lead up to $20, which is where a few communities landed on average, a similar 20% conversion rate from lead to lease would put their cost-per-lease at $100. So even with a defensive campaign that is not performing as well, for whatever reason, the cost-per-lease is still only $100. Optimize your local business listings. Next to mobile, the most important thing you can do to is improve your local business listings on Google. This, again, is largely about mobile. Given how dominant your local listing is, it is important to think about how to get the most out of it. 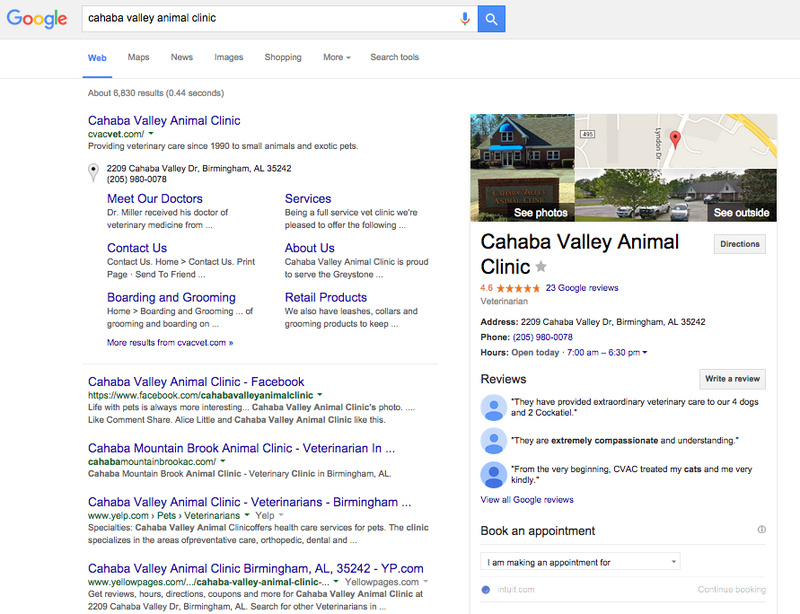 There are two ways to improve your local business listing on Google. The first is to actually work on the business listing that Google controls. The second is to make sure that your local business data is consistent across all the different local business directories online. 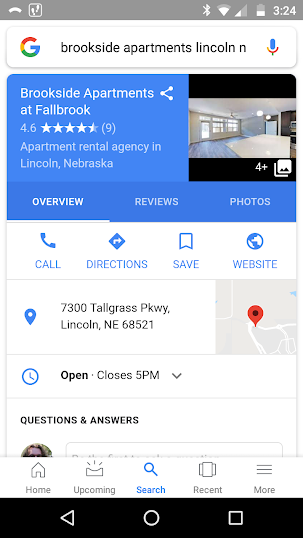 This gives Google greater confidence that their own listing for your business is correct and therefore makes them more likely to show it to their users. To check to see if your business data online is consistent, use this free tool from Moz. By improving your local business listing, you are making it easy for anyone—and mobile users especially—to find out about your community. Do local listings affect leasing outcomes? Yes! Out of 2519 leases we tracked over a six month window with one client company, 627 came in from leads who called the community from the local business listing. That's nearly a quarter of all leases. One point to consider with many C-class properties is that they tend to be smaller communities or scattered properties across town. In the latter case especially, travel time between showings for your leasing team can be a big issue. It's especially frustrating if they spend time driving from one six-plex to a small property with 30 units several miles away only to give a tour to someone who obviously would never lease that unit after seeing it. Sometimes C-type properties can be nervous about having a lot of photos or video of the property online for fear of not looking good relative to their competitors. But there are tons of C-class properties and most of them tend to look pretty similar. So you won't typically suffer that much by way of comparison. People know that you get what you pay for so no reasonable person is going to be comparing your C-level property to the new luxury property on the other side of town. Additionally, by making more photos and videos of the property available, you are making it easier for prospects to see your property and make an informed decision about whether or not to take a tour before they call your leasing staff. There will always, of course, be people who will see your property and decide it's not for them. But if they can do that before calling your leasing office they can save your staff a lot of wasted time not only giving the tour, but also driving from property to property.